Ushishishi! Fuhihi! Mayo Chiki episode 7, this episode is moetically catering to otaku’s subliminal want. That’s what I want! Not money, but uwamezukai! Subaru-sama’s uwamezukai. Yes, uwamezukai with her hand under the chin! Yeah, I wrote Uwamezukai 101, but this time, even more advanced! As you can see in this video, the instructor explains this advanced seduction technique. Ahh, every time I see Subaru-sama, she’s getting even cuter, so cute as hell that my head would blow up! A hand under the chin technique! What’s more, uru-uru beam (watery eye beam). Her eyes get watery and reflect the sunlight even more! 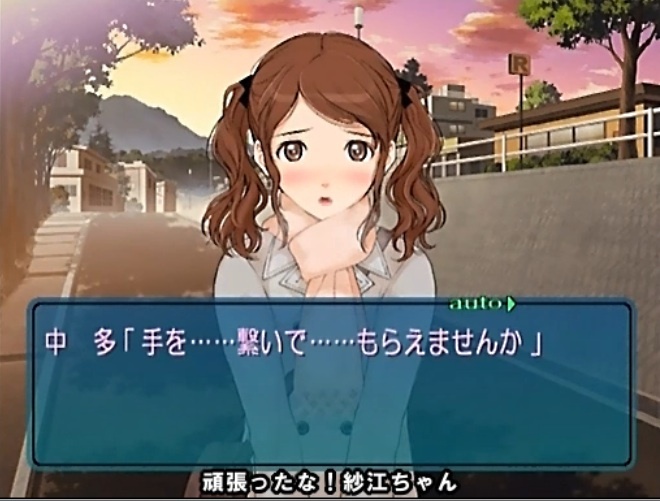 Yes, Nakata Sae-chan’s special from Amagami. Onedari (pester) technique. Ultimate pester power! Yes, the episode’s title is “Let’s run away.” “Let’s elope!” Kakeochi-shiyou! Yes, I always want to run away with you, Subaru-sama! Don’t you know how much I want to run away from this sh@tty 3-D life? 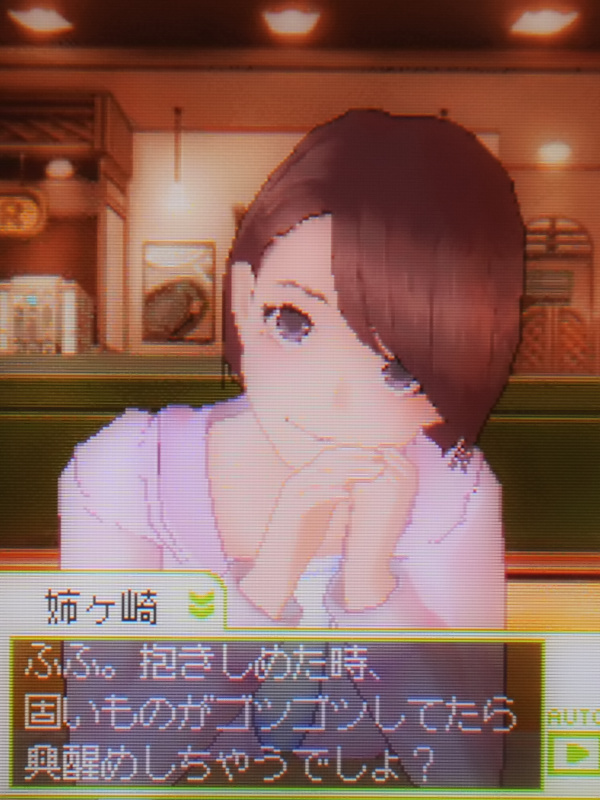 Yes, this technique is also seen in LovePlus, the most famous dating sim from Nintendo DS. Anegasaki Nene uses it at a restaurant. Yes, when you eat dinner, especially meat, your brain will be utterly susceptible to sexual signals. Because meat contains rich protein, vitamin B, and iron, the raw materials for dopamine. Yes, meat is carnal, in Spanish, carne, and carnival means “farewell to meat.” That’s why the Cathars abstained themselves from meat, so they wouldn’t get horny. So, with meat-eating at night, and uwamezukai, OMG, I would die from overexcitement! I thought uwamezukai was exclusively used by Japanese girls. But I’ve recently found out that English girls are also using it, as this video evidently shows, and here’s a snapshot from it. I didn’t know English girls are using this highly advanced technique at a bar too! Should I move to England? Yeah, I didn’t have any girl do uwamezukai to me in neither Japan nor America, but I may have a chance in England. But no dinero, so I end up being a hikikomori, living in 2-D. Oh man, how can this dude stay calm and keep chatting? If she does that to me, I would surely stutter, and my words coming out from my dry mouth would never make any sense at all. I’ll completely go delirious. My logical function of the brain will totally break down. Uwamezukai is the sign or miracle that she’s really into you! Yes, you’re the object of admiration (this is what “miracle” really meant)! Object of wonder! Ahh, this will surely wipe away all the tears I’ve shed as a dude! You feel like you’ve become God of the New World (新世界の神)! If I may borrow the phrase from Yagami Light. Yes, uwamezukai with her hand under the chin. That’s simply too powerful! I can’t resist. My whole body starts to tingle. Too much dopamine shower in my brain! Ah, Subaru-sama, Subaru in the Sky with Diamonds. And that is moe! Here’s omake (bonus). Subaru-sama as a meganekko (glasses girl)! Woohoo! Megane has an unavoidable cute quality indeed. It’s an alter ego thing, Subaru trying to hide her identity. But also a sign of intelligence, and classy feel to it. But why are we so obsessed with it? In China, megane used to be a symbol of high social status, especially among the privileged men. Only those who studied hard could pass the tedious exam to be the top government officials. And unfortunately this stupid custom was adopted in the entire East Asia, including Japan. In turn, girls were discouraged to wear megane, and it was even a taboo in Korea for girls to wear it until around the Seoul Olympics. But now since women are entitled to equal opportunities, it now becomes the symbol of empowerment and liberation. It’s like a pants, career women now get to enjoy their freedom to wear it! 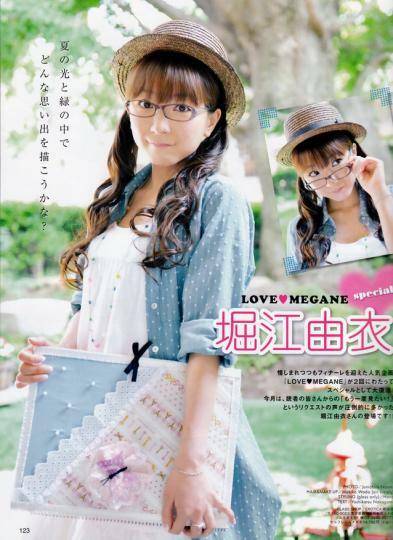 And Hocchan is also celebrating her freedom as a meganekko! Give her megane or give me death! 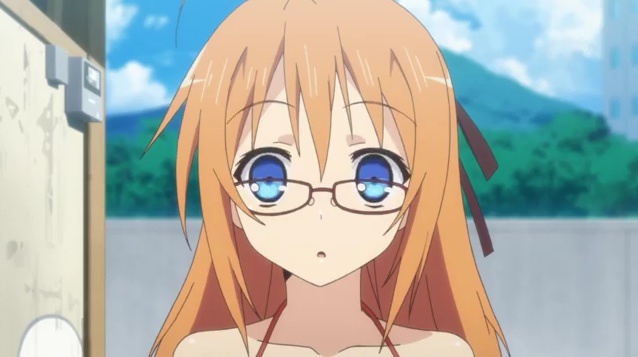 I have to admit, while I haven’t gotten as far in the show as episode 7, Mayo Chiki has become a guilty pleasure of mine lately. :) Konoe’s like a reverse Hideyoshi! Hahaha! A reverse Hideyoshi! Viva Okama! Yes, I know you’re gonna find it pleasurable since we have similar tastes! 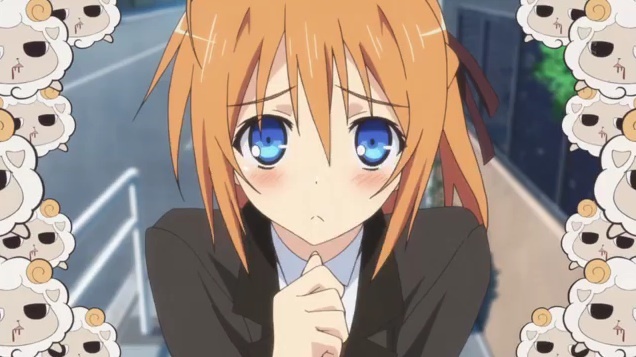 I haven’t started watching Mayo Chiki but I have read a lot of good reviews. It’s actually next on my list. I think this story is somewhat similar to manga entitled “Love in the Mask”. Thanks for the comment. Cool! Yeah, definitely good, it’s really catering to Otaku’s dream. A butler girl, so cute! I never heard of Love In The Mask. What’s the original title in Japanese? @ LaMoe + Rabbit Hutch – Mike and I looked it up and it’s actually Korean Manwa. Yes, I just checked the link Rabbit Hutch posted, and I can tell from the Korean words and the name of the author that it’s not Japanese. But the drawing style looks very much like manga. It’s interesting that manwa has a reverse trap genre parallel to manga. Thanks for answering my comment. You can actually check here the Love in the mask http://www.mangareader.net/1697/love-in-the-mask.html I haven’t found any name in Japanese. Just that title. That’s actually a Korean cartoon, not Japanese, no wonder I couldn’t find it. But thanks for the input of butler trap genre. “Mask” certainly is a theatrical symbol, acting as a boy. I haven’t watched nor checked the manga list if Mayo Chiki is already available but I read the review, it was kinda interesting. I would like to watched it’s anime once it’s completely finished. It somehow has a nice edge in the story. Thank you for commenting. Yes, it’s pretty funny, a good light hearted comedy. I hope you will find it entertaining.